Any event that you attend where you takeaway at least 3 insights must have been a pretty good event. So was Digital 16 for us. Digital Alchemy (DA) joined Digital 16 for an inspirational day filled with the latest digital marketing trends in Thailand. 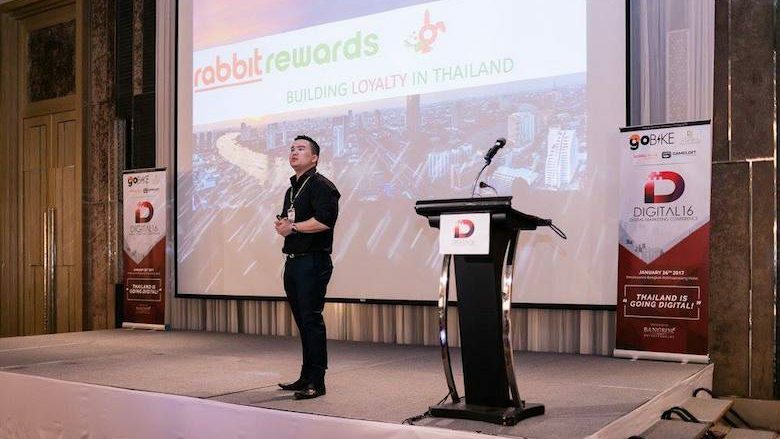 The digital scene in Thailand, especially Bangkok, is rapidly evolving and we were curious to see how other organisations adapt their business strategies to keep ahead of their competitors and continue to satisfy the changing needs of their customers. There was a good variety in the sessions with relevant topics ranging from digital PR and content marketing to digital video advertising trends and building loyalty. So what were the sticky learnings from our perspective? One of the keynote presentations and a great kickoff of the event. Sharing interesting data on mobile usage in Thailand, such as an average smart phone user in BKK spends 7 hours a day on their mobile phones (sadly this seems true), people unlock their smartphones more than 80x a day and millenials would rather give up their pinky finger than their smartphone. John really emphasised that your mobile marketing and video strategy should be a big focus for upcoming years and not forget that you should focus on people not cookies. We could not agree more. Emotional storytelling is a popular marketing tool and very common in Thailand used by a lot of banks and insurance companies (click here to watch one). Interesting insight from Rob was that even though the videos get a lot of engagement, likes, clicks, and shares it does not really convert in terms of brand awareness & recognition. He explained that companies should realise that they are not publishers and should focus on understanding their customer needs and build their digital strategy from there. What did you think about Digital 16 and what was your favourite session? We would love to hear from you. If you were not able to attend, take a look at some of the moments here to see if it may be of interest to join next year.